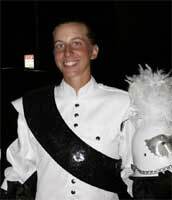 Lanah Kopplin will be contributing columns to DCI.org each Tuesday. Here's her 13th installment. I feel like I'm in the middle of spring training. Anyone who's marched drum corps before understands this sentiment. Spring training is filled with long hours of arduous rehearsal, and no end in sight. The world as you know it is shrunk down to your side of the field, and your spot in horn arc. Fellow members' idiosyncrasies suddenly become blown tremendously out of proportion and little annoyances are suddenly heartbreaking tragedies. During spring training, it's so easy to lose focus and forget the reason that you're working so hard.